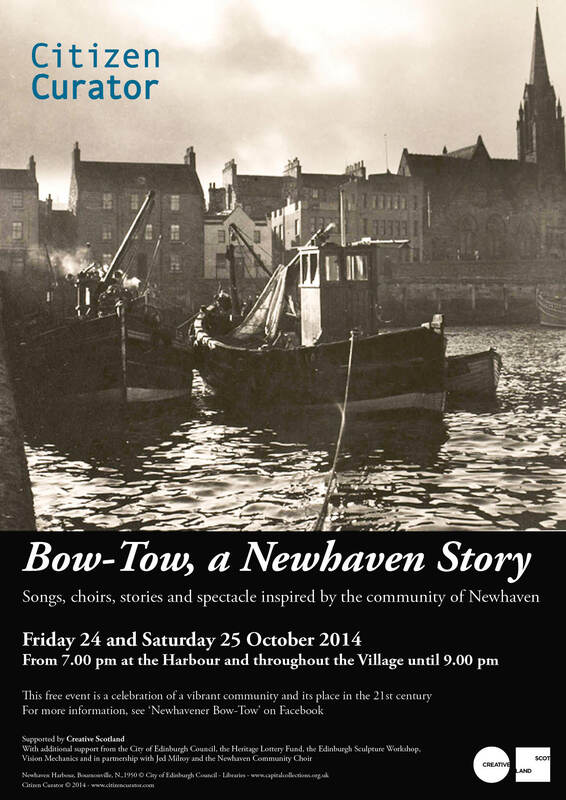 To be a Newhavener is to be Bow-Tow. It is a symbolic relationship between the land and sea, the men and women of Newhaven. This live event will present story telling, theatre and traditional music set alongside performances by local residents young and old. With Jed Milroy, Hamish Moore and the new Newhaven Community Choir, this free event is a celebration of this vibrant community and its place in the 21st century. Citizen Curator is a contemporary arts organisation working with the history and identity of Leith and North Edinburgh. This entry was posted in Events, Entertainment & What's on. Bookmark the permalink.